New Delhi, February 20, 2018: The Dasra Philanthropy Week 2018, India's leading annual philanthropy event, opened today in New Delhi with a convening of government officials, non-profits, foundations, and philanthropists discussing the need for urgent and formal collaboration to address India’s development challenges related to adolescents, sanitation and governance. Dr. Ajay Khera, Deputy Commissioner, Ministry of Health and Family Welfare, and Xerses Sidhwa, Director of Health, India, at the U.S. Agency for International Development (USAID) set the tone for the day by highlighting planned activities, successes achieved and challenges to be overcome for adolescents, sanitation and governance. The Adolescent Poll has been jointly developed by the Ministry of Health, Dasra and USAID under the “10to19: Dasra Adolescent Collaborative,” launched last year in March, to review the implementation and reach of the Ministry of Health’s national adolescent health program called Rashtriya Kishor Swasthya Karyakram. This poll will cover adolescents in seven states — Assam, Haryana, Jharkhand, Maharashtra, Rajasthan, Tamil Nadu, and Uttarakhand. The poll findings will be announced by mid-2018 and will enable the health ministry to better understand the successes and challenges of the national program. The campaign launch was followed by various panel discussions that highlighted partnerships with government. A network of 60 NGOs that worked on adolescent health also came together to share their insights. 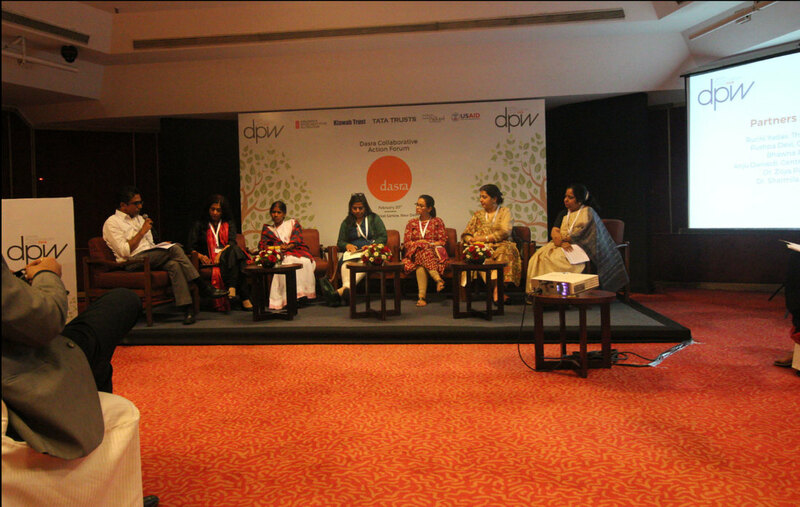 The panel discussions were attended by Ruchi Yadav (The Hunger Project), Pushpa Devi (Gram Panchayat member), Bhawna Prakash (EY), Anju Dwivedi (Centre for Policy Research), Dr. Sharmila Neogi (USAID) and Dr. Zoya Rizvi (Ministry of Health and Family Welfare). The U.S. Agency for International Development (USAID) works to end extreme poverty and promote resilient, democratic societies. USAID is an independent government agency that provides economic, development, and humanitarian assistance around the world in support of the foreign policy goals of the United States. Leveraging India’s growing financial and human resources, USAID is harnessing the strengths and capabilities of both countries to tackle development challenges not only in India, but worldwide. In all sectors of its activities, USAID builds private sector partnerships to foster in-country sustainability and ownership, with a focus on issues such as health, urban water and sanitation, food security, climate change, early grade reading, and women’s empowerment. Dasra, meaning enlightened giving in Sanskrit, is a pioneering strategic philanthropic organization that aims to transform India to a place where more than a billion thrive with dignity and equity. Since its inception in 1999, Dasra has accelerated social change by driving collaborative action through powerful partnerships among a trust-based network of stakeholders (corporations, foundations, families, non-profits, socially responsible businesses, government and media). Over the years, Dasra has deepened social impact in focused fields that include adolescents, urban sanitation and governance, and it has built social capital by leading a strategic philanthropy movement in the country. For more information, visit www.dasra.org. Follow #DPW2018 for live updates on Twitter, Facebook and LinkedIn.